This is a page just to show a few historical items from the Photographic world. 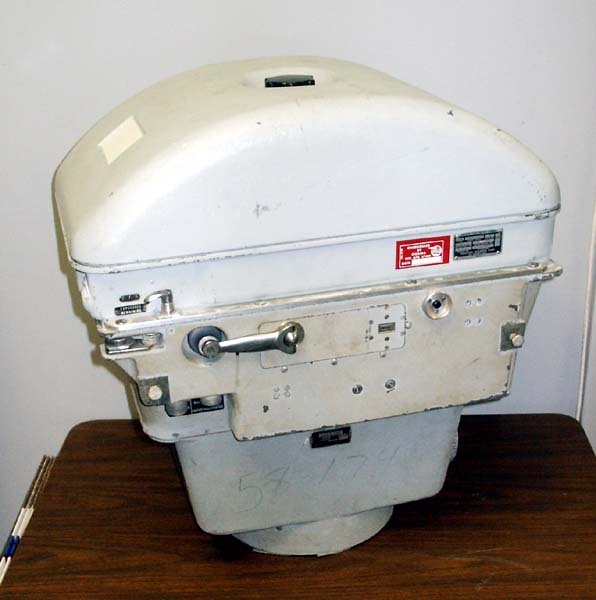 The above image is of a Morse Film Processing Unit that was used for many years to process many miles of film. There are companies that still use these to this day. 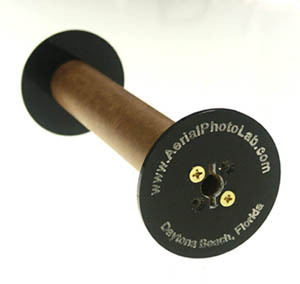 They are a fairly inexpensive way to hand process your own film. 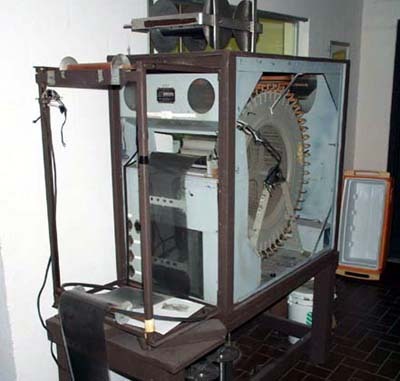 You are not able to keep the processing as consistent as machine processing and you need to have a film dryer as well. 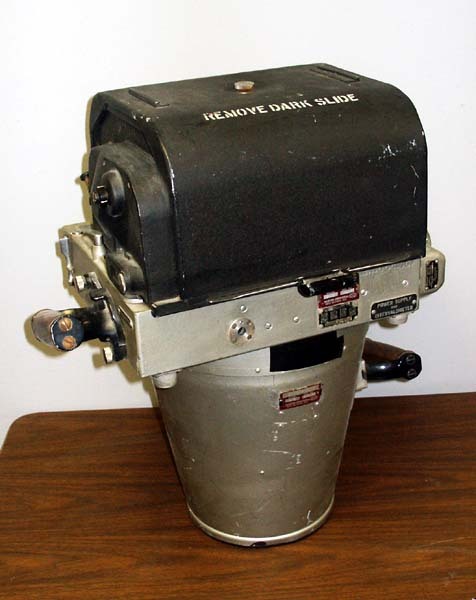 This is what the film dryers looked like. 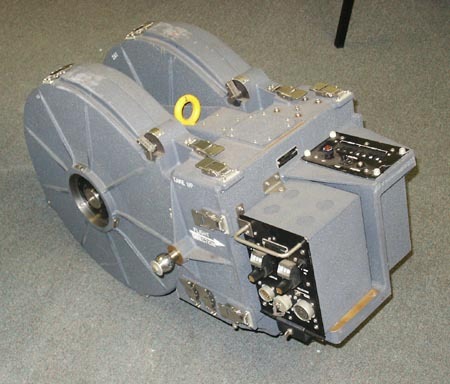 To the right you will see an example of a camera spool. This particular one is for a 7" camera. 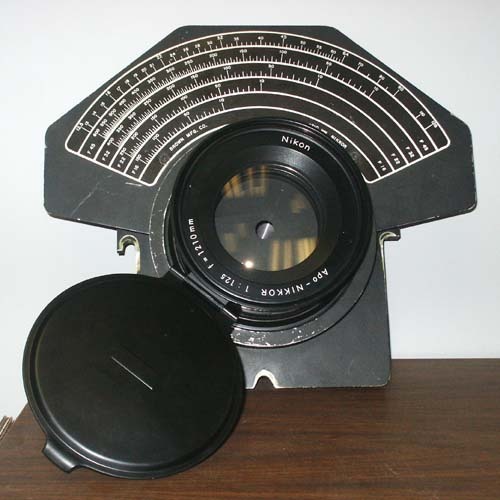 We are going to be making the spools available that will mount into the Kodak K-24 Aerial Camera to utilize the standard 5" film rather then the 5.5" film that they were originally made to utilize. We have tested the proto type in our own camera and it seems to work well. We are anticipating the cost of these to be approximately $50 a spool which is to cover the costs. 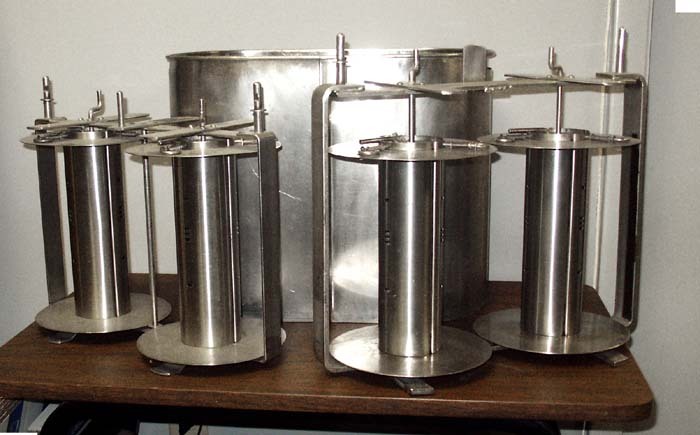 The spool will have a 2.25" or 2.5" flange and the length can be made to your needs (specify flange size). For more info contact Kevin Johnson. We had in our possession two different copy cameras. One of them was a 22 foot Acti and the other was a copy camera that took up two HUGE rooms in a 10 story building. The story behind how the larger copy camera got into the building was that when they had gotten to the 3rd floor and used the crane to lift the camera in place and continued to build the remainder of the building. 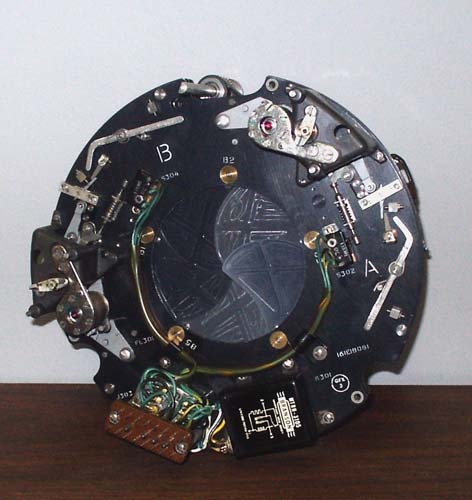 We are using a few remnants of that camera in the lab, but the camera has been long cut up and scraped. It is a shame to see such a nice piece of equipment destroyed but it was hard to justify the expense of taking the unit apart and moving it and putting it back together again. A unique story to add to this is that the building we are in now used to be Rand-McNally's photo lab. 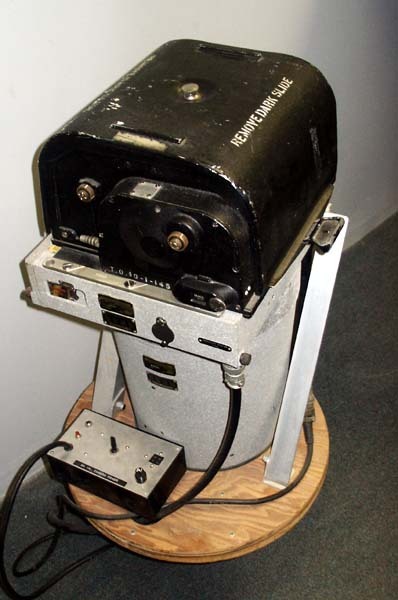 Only a couple months before we began to look at the office there was a similar camera that was approximately 60 feet long and used about 1200 Sq Ft of the office that had been taken apart. If we had looked at the space earlier they would have been more then willing to leave us the camera instead of paying for it to get cut up and removed. 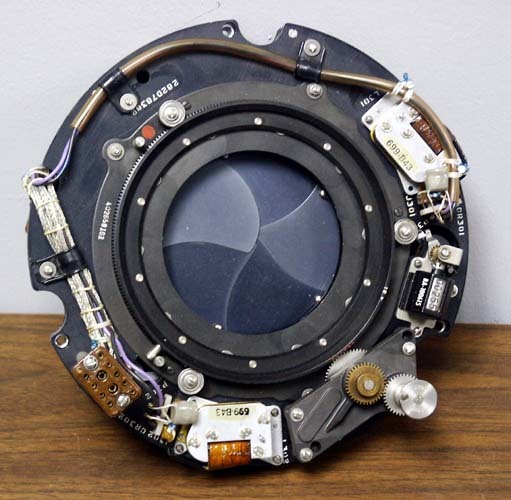 The lens below is one of several that we have from the camera. All are Nikon lenses, this particular one is a 1210mm with an f-stop of 12.5 to 128. 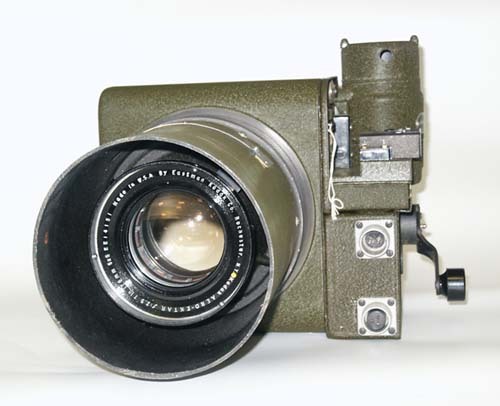 Below are a few older aerial film camera. The now ones are far more computer operated but this is where it all began. This is one of two that we have like this. This one has handles for using hand held. Imagine holding this while taking images! Many years back I was looking over our film stock and found images taken with this camera. It took some wonderful sharp images at that time. This is another item from Dave Phillips. The format is 70mm x 11" and it uses rolls of film that are 70mm x 6400 feet! From my understanding this camera was used on "drones" and able to take images as low as 4 feet off the ground. I plan to test this at some time to see what we are able to get from it. This unit was brought to us from Dave Phillips at Chicago Architectural Photographing Company. He has many things that are for sale that the large format photographer may be interested in. His number is 312-733-3277. An additional note we received on the camera above indicated that this strike camera was not used on "drones" at low altitudes. This is an interesting shutter that was also sent from Dave Phillips at Chicago Architectural Photographing Company. I'm not too sure what it is out of but it looks similar to the shutter in one of the old aerial cameras above. 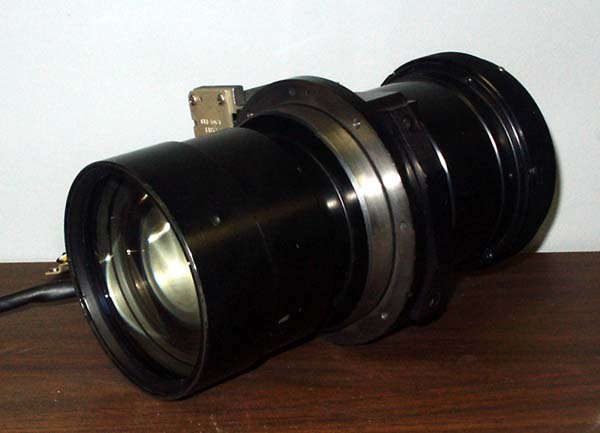 This is a lens made by Fairchild Space & Defense Systems.